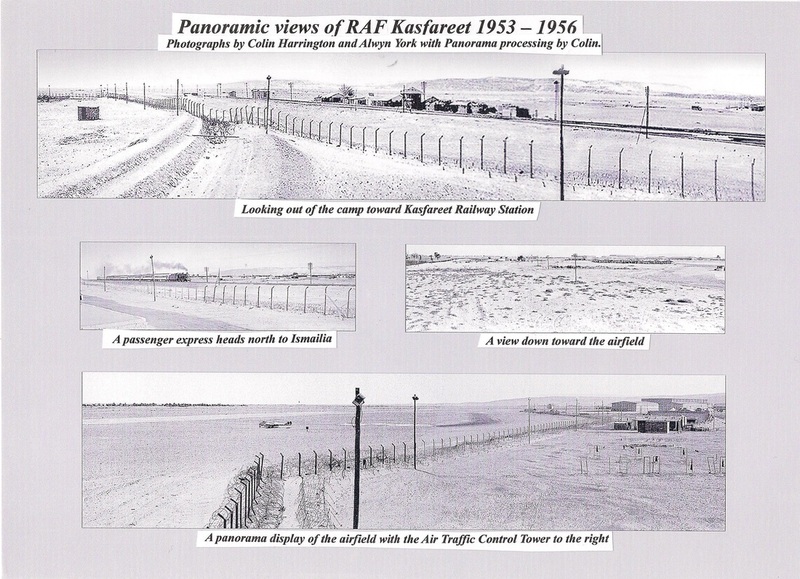 These two images have been "stitched" from four pictures shown below to give a more panoramic view of the camp perimeter along the railway line from the top of Guard Section 5 searchlight tower. Since I entered the above picture and comments, Colin has added a third picture to the panorama above, as shown here. spooky on the wire by yourself and every sound was magnified and you always imagined that the ghost patrol were sneaking around your watch. Picture taken through a guard hut window. Anyone recognise the section ? John Mayo dressed up for guard duty. Left.....Through the wire. Water tower in background. Where was this taken from ? Picture from the same shot but face on to the wire.The vehicle in the centre is on the Treaty Road while on the right are El Hamra buildings, Greek Cantonment possibly. Picture from same position but facing north. Centre distance is the main gate. Water tower is further back. Suez to Ismailia passenger train heads north. A gateway of sorts can be seen in the perimeter wire. At one time, a wartime branch line entered the camp through here. A reflection of John Ollerton on top of the searchlight tower near the railway line. Pictured from the searchlight tower near the sports area. C.O.`s residence to the left. A white ship out on the lake. From the top of the aircraft control tower on the airfield looking west toward the range of hills and sunset.